What do you get when you pack a room with the world's technology leaders, forward thinkers, innovators, explorers, tinkerers and visionaries, and give them a small taste of how far 3D can take them? You get a singularity: a point at which function takes an infinite value, a point at which ideas run riot like bouncing balls. That's pretty cool. We need ideas and agents of change to convert those ideas into disruptive, humanity-benefiting actions. 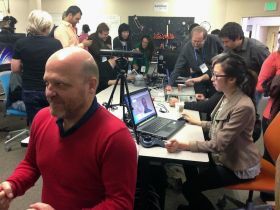 Singularity University (SU) counts as its mission to"educate, inspire and empower leaders to apply exponential technologies to address humanity's grand challenges," which it does through a series of dynamic Executive and Graduate Studies Programs. It's a launching pad, of sorts, for technological innovation appropriately housed in the NASA Research Park campus situated along San Francisco Bay. 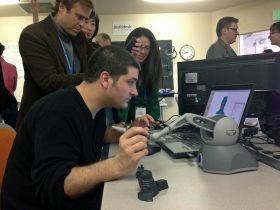 In the past few weeks, 3D Systems and Geomagic have been proud contributors to this mission with an address by 3D Systems CEO and SU faculty co-chair of the Additive Manufacturing Program Avi Reichental, as well as live 3D authoring and printing demonstrations to program attendees. It's all about taking part in a"new possible" by exposing influential people to a pioneering set of tools that can help them unlock long-closed doors and unearth new ones. 3D technology especially - how it allows makers to author and physically create custom designs, improve existing ones and invent with freedom - is introducing a fundamental change in the way we think about production. 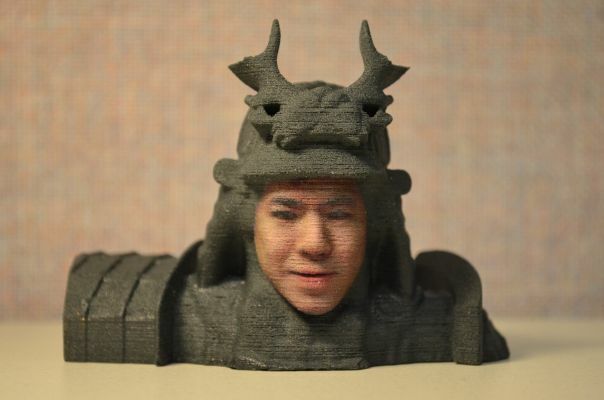 As a primer to 3D technology, over two multi-day events in two weeks, Product Marketing Engineer Richard Lam scanned participants using Geomagic Studio® and a low cost consumer product. After repairing and filling holes, Richard handed off watertight surface models to Freeform Application Engineer Joshua St. John, who created solid bust models and merged them with his own detailed pedestal design in Geomagic® Freeform®. All the resultant models, 130+ over the two sessions, were 3D printed in full color using 3D Systems' ZPrinter 650. 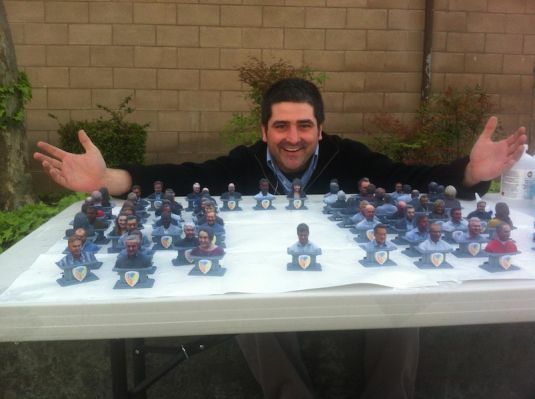 During the last session, the team created and printed 64 customized souvenir busts in 24 hours. "The staff was blown away by the dramatic time savings we delivered through our workflow," said Joshua St. John, who also took participants though a demonstration of the Sensable Phantom haptic devices. It really is mind blowing when you"touch" a 3D object for the first time using the haptic devices, not to mention when you realize how it could potentially alter design, research, visualization, simulation and training processes. Mark Danks, senior director, consumer solutions at 3D Systems, was also on hand to demonstrate Freeform's in-progress interface with a brand new sensing technology. This unique pairing allows designers to interact with 3D objects in the most natural way possible: simply moving their hand in space. While it's our hope that we left Singularity University attendees with a lot to rethink about, they certainly made an impression on us. "Just eavesdropping on talks, I was inspired to leverage my knowledge not just for my own benefit but for the good of humanity," said Richard Lam after the long trip home. He went on to say,"These are people who put a ding in the universe." A good ding, that is, which is what we aim to do with our 3D technology as well. And by pairing up with SU, there's a lot of dinging on the horizon. But perhaps Joshua St. John put it best:"Leaving San Francisco really excited," he said,"for what the future holds for us all."